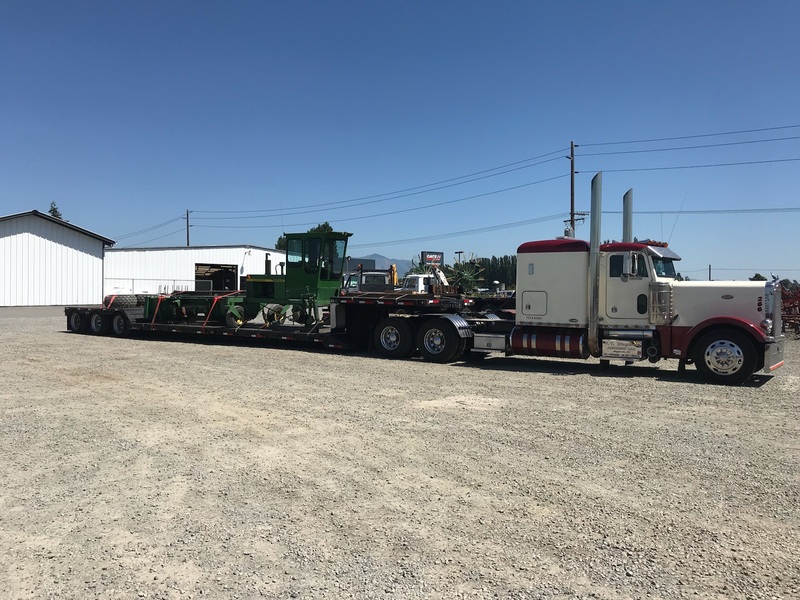 Tractor Transport has garnered a reputation from our clients as one of the most dependable and versatile hauling services around. Talk to Tractor Transport to ship your farm mower anywhere in the US, Canada or Mexico. Depend upon us to ship your farm mowers where you want it, when you want it. Talk with one of the experienced logistics professionals at Tractor Transport today, (877) 373-0109. Tractor Transport recently transported this Massey Ferguson 6255 mower with the boom arm. 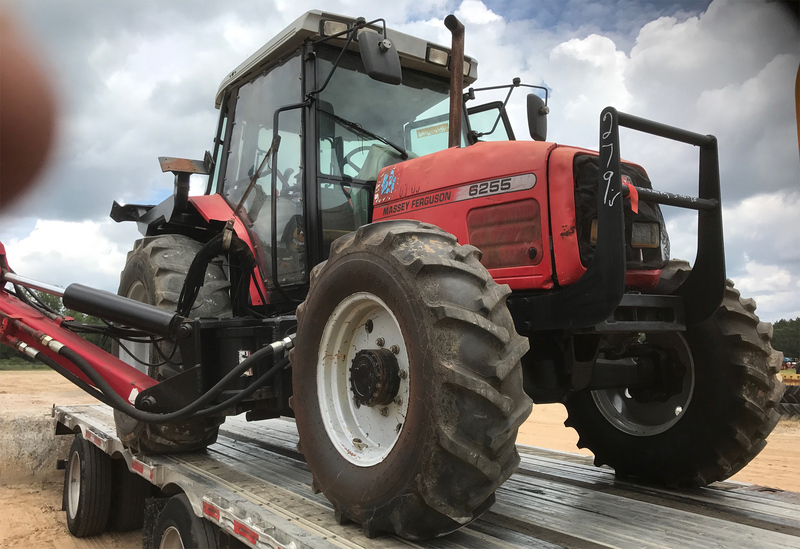 This Massey-Ferguson was picked up in Hazlehurst, GA and delivered almost 1,300 miles to its destination in Marquette, MI! The mower was 18 feet long, 8 feet 4 inches wide, 9 feet high and weighed 14,000 pounds. Trust Tractor Transport to handle your next load! Call and speak to our agent Brian G. today to schedule your next shipment! (954) 603-1344. Tractor Transport recently shipped this Kubota ZD331 Zero Turn Mower from Morris, Illinois, to Randle, Washington. The trip covered 2,100 miles. Weight: 2,650 pounds. Length: 7 feet 6 inches. Width: 6 feet 6 inches. Height: 4 feet 6 inches. 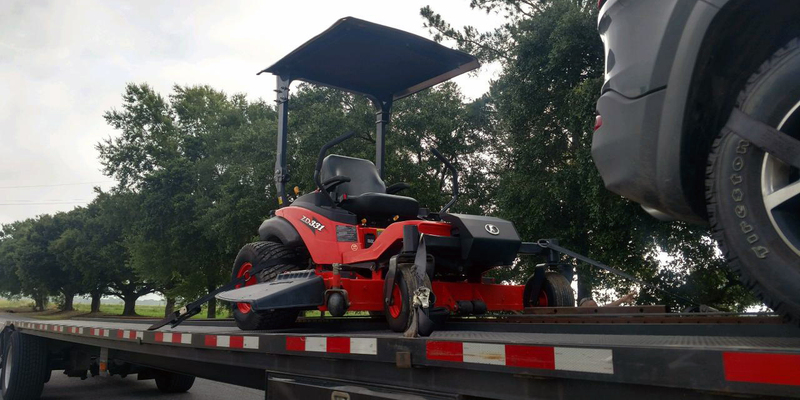 To ship your Kubota mower to its next destination, call Brian at Tractor Transport directly at (954) 603-1344. Mower attachments come in all shapes and sizes, from square-and-bulky to long-and-thin. Zero-turn mowers are used more for lawn care than agricultural mowing. Sickle bar mowers usually extend from the side of your tractor. They’re perfect for low-horsepower tractors. Rotary disc mowers, which require tractors with higher horsepower, usually a dragged behind your tractor. Drum mowers are tow-behind as well, but they usually extend out from one side of your tractor. Call Tractor Transport to ship your farm mower. Haymaking begins around the middle of May in southern areas of the country, and a couple weeks later in the north. Schedule your shipments for earlier in the Spring. Provide plenty of lead time, and you might be able to include your mower attachment (or zero-turn mower) as a partial shipment. Most mower attachments can travel safely aboard a flatbed trailer. Some of the larger mower attachments will fold up for travel. 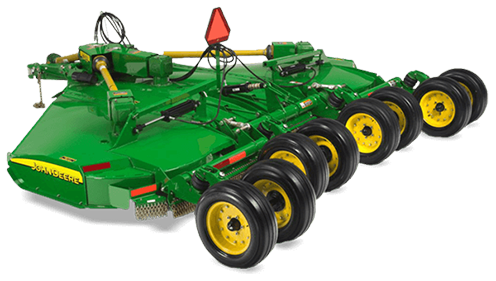 Unlike tedders or hay rakes, mower attachments don’t travel vertically on trailers. Mower attachments don’t have tires, so they can be placed horizontally for travel.